It all started almost a year ago when I had a dream of traveling in FIRST CLASS! I’m a frequent flyer and had traveled to more than 30 countries in Economy and business class. 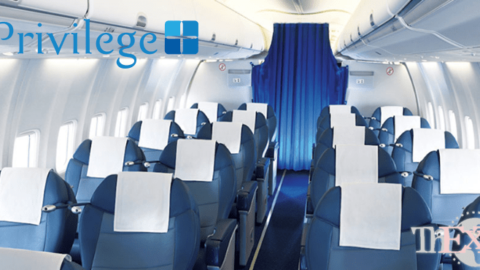 First class flight is not affordable for everyone being its priced almost 10 -15 times higher than the economy ticket. 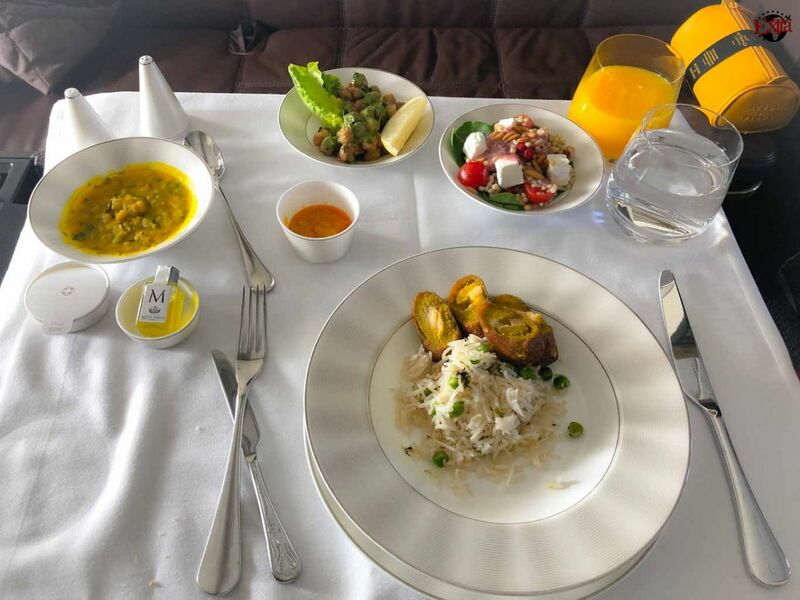 You should either be so lucky or near to impossible to get a free upgrade in the airport to first class or you should be smart enough in accumulating enough miles which can earn you first class ticket. 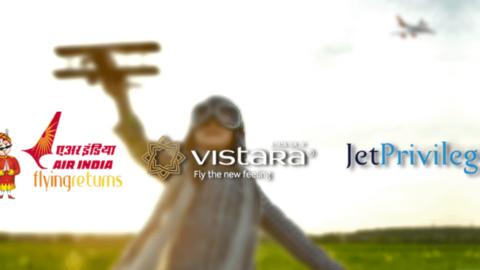 You call it a dream or as a goal, my motive was to show you that if one can plan well and be smart enough in their daily spending, credit cards and online shopping portals can gift you the best experience of an amazing journey for life time! 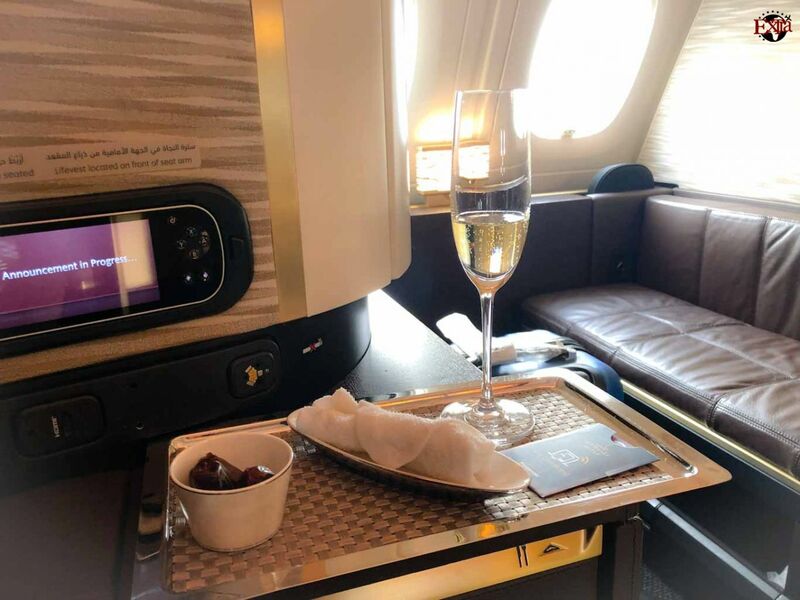 To get a great experience of First class flight, I preferred a long-haul flight from Abu Dhabi to London which is more than 7 hours. Usually for Long haul flights, the miles to be redeemed ranges from 100,000 -150,000 (I’m referring to JPMiles here). 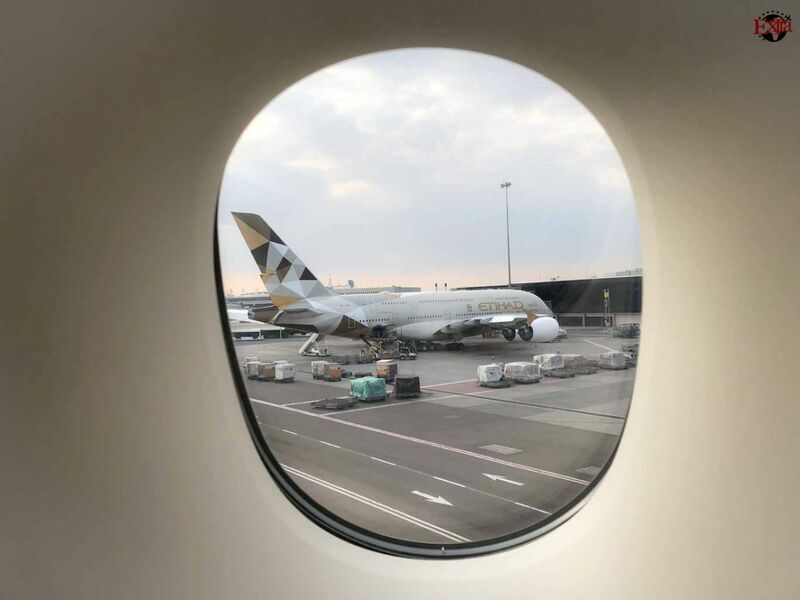 Let me take you to the virtual tour of Etihad Airways A380 First Class Apartment, the most luxurious travel anyone can dream of. 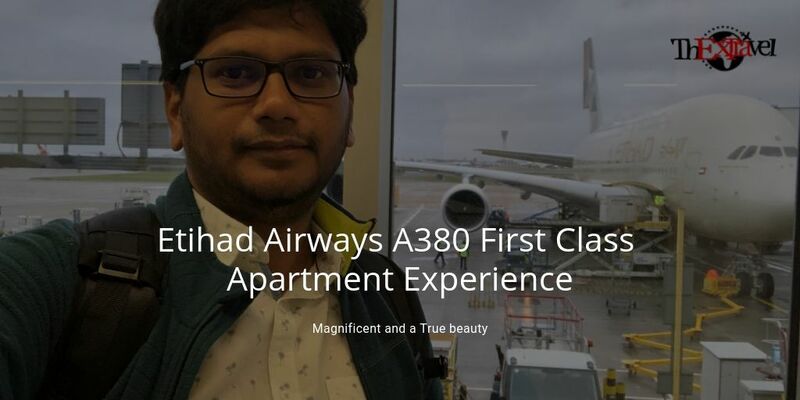 Recently, I redeemed a award ticket for myself to travel via Etihad Airways A380 First Class Apartment from Abu Dhabi to London, the ticket worth is approx Rs.5 lakhs. 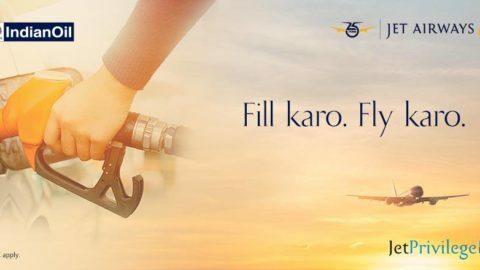 Thanks for travel hacking, I could able to get for just ₹ 16000 using 105000 JPMiles that I had accumulated over a year. At Airport, there is a dedicated check-in area for first and business class travellers. I collected my tickets and then moved towards the Etihad Airways First Class lounge & Spa. The furniture is so classy with leather chairs with different pattern setup that can accommodate different groups. I decided to shower first since I have landed Abu Dhabi early morning from Colombo and then relaxing spa session to get ready for my 8 hours long travel. First class passengers do get complimentary spa massage service for 15 mins. For dining, there are both self-serve buffet and an ala carte menu. 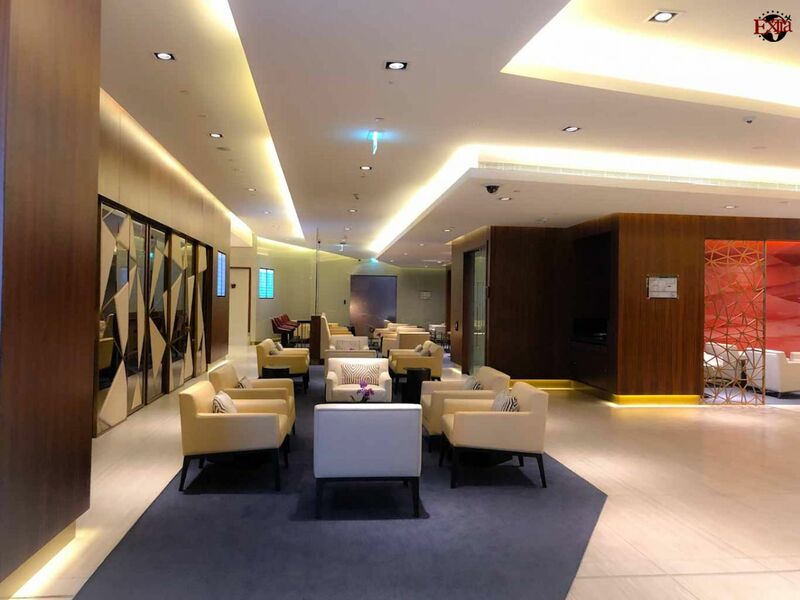 After enjoying the services of the first class lounge, it was time to board the jumbo A380 flight. As I entered the flight, I was welcomed by my name and then was escorted towards the First Class Apartment by a crew member. For the welcome they had champagne, warm hand towels, dates, a welcome letter and traditional Arabic coffee. 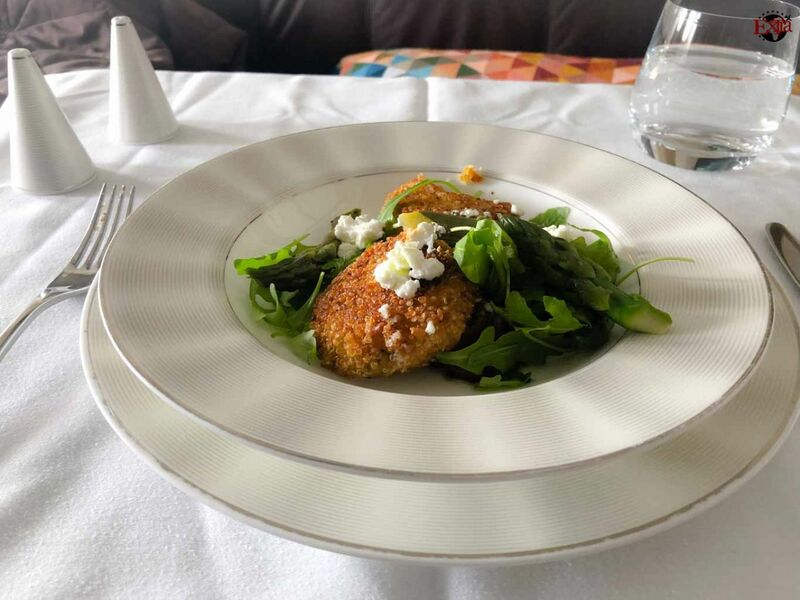 As soon as I made myself comfortable there, I have got a personal on-board chef with whom I can customise my meals. Since I am Veggie, Chef told me I have special made to order meal loaded into plane exclusively for me. Isn’t it awesome! The experience I was getting in this First Class Apartment made me spellbound. The way the cabin is designed is just amazingly beautiful. There are total nine apartments some are closer to window and some are closer to aisle. 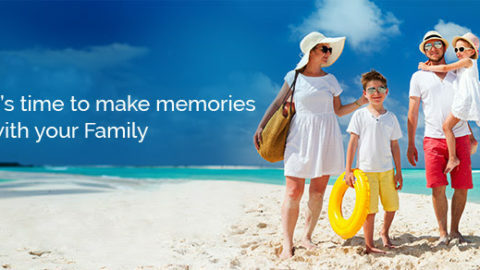 All the apartments are spacious and have got supreme privacy from other apartments. The Apartment has a leather armchair which has a massage function in itself. There was a plush, light blanket kept at my seat, which I just loved. One can even hang their clothes in the full length wardrobe given in the Apartment. There’s a small minibar, just in the reach of your hands. There are multiple light options which can be set, and it can be controlled with the switch at your handset. There’s a swivel large 27 inch LCD TV, which the cabin crew adjusted, when I laid down. For sound, I was provided with a personal set of Etihad Airways noise-canceling headphones, which work just as I expected. I later ordered a meal for myself with my personal chef. 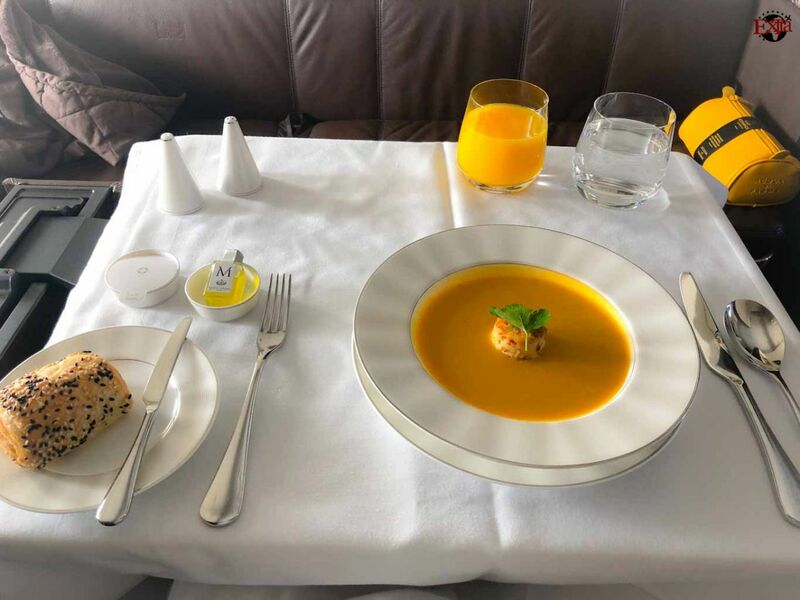 After I was done eating almost everything, I decided to change; Etihad provides cotton pajamas for its first class passengers. 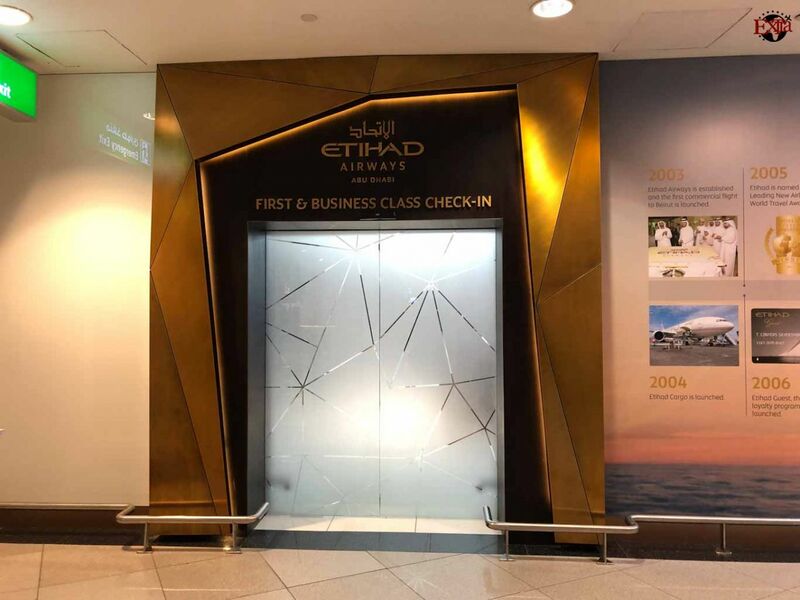 Etihad has done some beautiful arrangements for people travelling together. 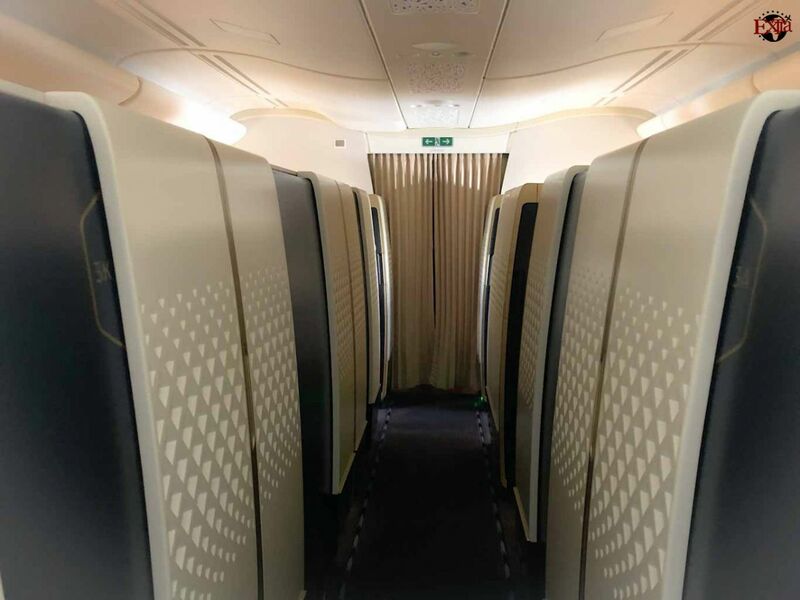 The adjacent seats have a wall between them, which could be lowered down and the two beds become like the double bed with minimum space between them. There are two bathrooms in the Apartment: One is for Shower and the other is little longer and more spacious. The cabin crew member came to take reservations for the Shower; I booked it for three hours before the landing, so I get down fresh. Though internet speed is not fast but fair enough to browse. Once I changed into my comfortable pajamas, the lights were dimmed. One of the cabin crew member swivel the TV up to 90 degrees, which made it perfect for me to watch the TV as I lay down on my bed. 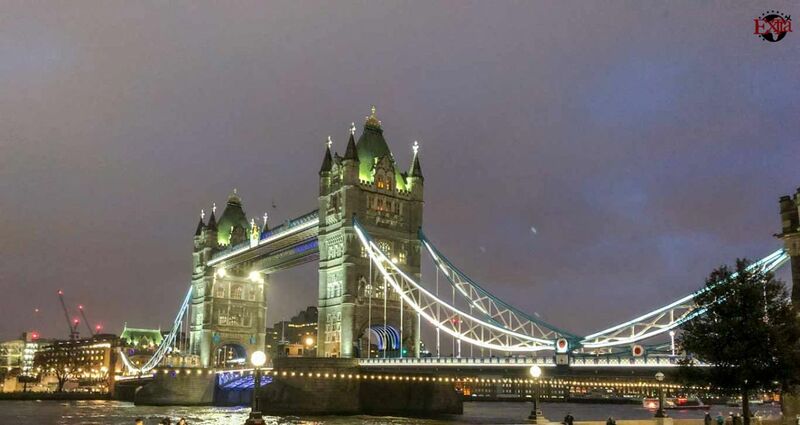 As the time passed by, my flight was about to reach its destination London. As I get down, the services of first class didn’t stop, I had the chance for fast track immigration which saved me at least an hour in queue. 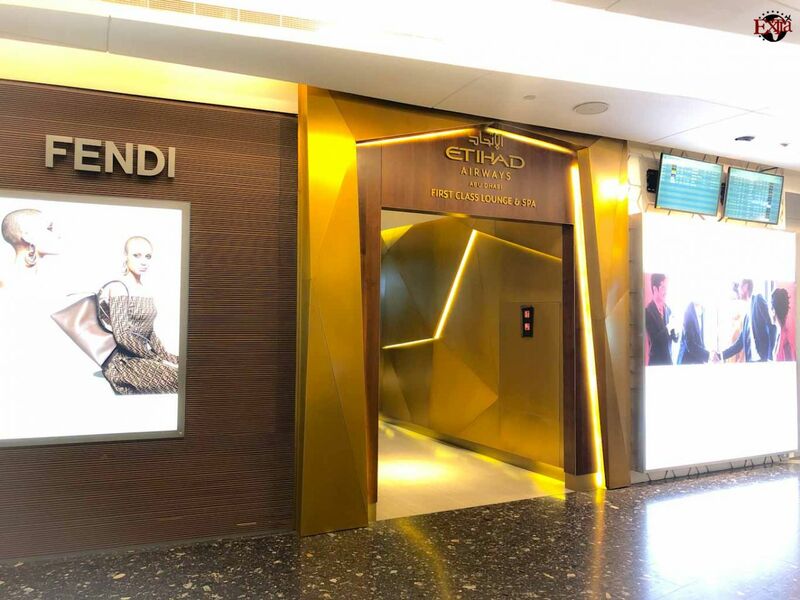 My experience with Etihad was very charming; I really liked the cabin crew members. They were polite, generous, attentive and engaging. 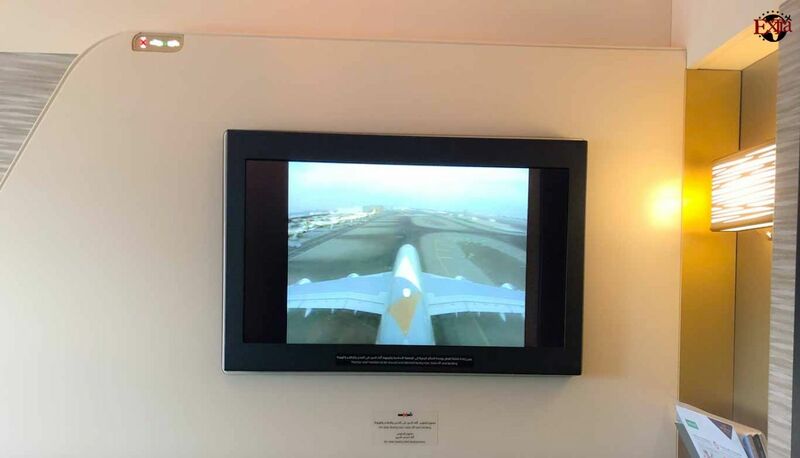 If I look back the experience of Etihad Airways A380 First Class Apartment. It’s magnificent and a true beauty. 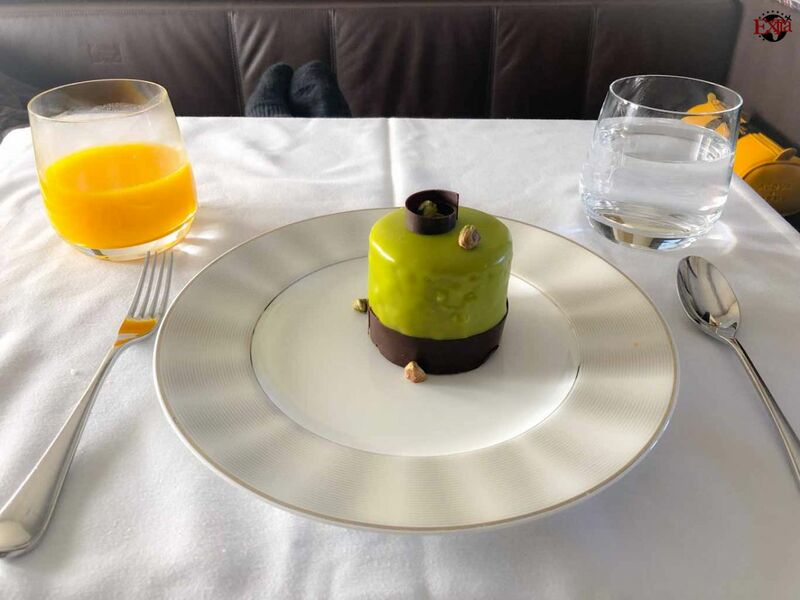 What is your story with first class travel?